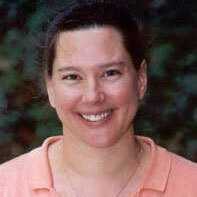 Dr. Kitty F. Emery is the curator responsible for the Environmental Archaeology Program. Emery is an environmental archaeologist who specializes in ancient Mesoamerican peoples and environments. Her research links archaeobotanical, zooarchaeological, and geoarchaeological data to reconstruct ancient human/environment relationships. Emery’s publications are listed here or can be downloaded from her research site. At the Guatemalan site of Motul de San Jose, Emery combines analyses of animal and plant remains from archaeological middens, with chemical analyses of soils and archaeological occupation surfaces, to reconstruct a complete picture of how the ancient Maya acquired, used, and discarded natural resources such as wild and agricultural food plants, tree products, animals, and mineral resources from the landscape. Emery’s technical specialty is zooarchaeology, and her research with animal remains from many Central American sites is allowing her to investigate ancient climate change, deforestation and other landscape changes, animal product crafting and exchange, and the politics and ritual of animal use. 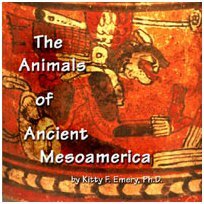 She is now working to combine detailed zooarchaeological data with information from iconographic images, ethnohistoric texts, and modern legends and knowledge to create a digital database of information about the ancient Maya and the animals of their world. Most recently, Emery has been working with the modern Maya of the Peten and Santiago Atitlán, Guatemala, to compile ethnographic information on animal procurement, use, and discard. Most intriguing are the findings on animal bone and shell use for medicinals, and the caching of animal remains during sacred hunting rituals at rockshelters and in caves. Zooarchaeologist Nicole Cannarozzi is the new collection manager in the Environmental Archaeology Program. 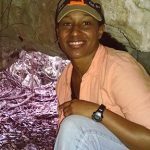 Nicole began working as a faunal analyst at the Florida Museum in 2003, and has since identified and analyzed faunal assemblages from archaeological sites from pre-contact and historic periods in the Southeastern US, the Caribbean, and Central and South America. Currently, she is studying the zooarchaeology of two Late Archaic Period shell ring sites on St. Catherines Island, Georgia to understand formation processes and site use. This research involves the application of sclerochronological techniques to document the periodicity of shell formation in modern specimens of the eastern oyster (Crassostrea virginica) in order to establish a proxy for seasonal use of oysters at the two sites. Cannarozzi is also participating in a collaborative research project that focuses on the archaeology of the African Diaspora on St. Croix. Another pivotal staff member in the Environmental Archaeology Program is the archaeobotanist, Donna Ruhl, who oversees the management of the EAP archaeobotanical collections on a volunteer basis while also conducting a variety of research projects. Her specialty is the study of macrobotanical remains such as seeds and wood excavated from archaeological sites primarily in southeastern North America. She has worked extensively on plant materials collected from Spanish colonial sites across La Florida. Her research has generated data on sixteenth, seventeenth, and eighteenth-century Spanish and Native American contexts to glean information about colonial landscape changes and transculturation primarily via plant introductions, exchanges, foodways, and economic strategies. Most recently, Ruhl has been working with older sites including coastal Archaic period shell rings and midden sites in Georgia and south Florida focusing her research on incipient stages of plant husbandry practices and how Native peoples impacted settlement and how they were impacted by paleoclimatic change. Ruhl’s publications are listed here. Dr. Elizabeth S. Wing continues to be active in the Environmental Archaeology Program. She initiated a program of zooarchaeology in 1961 and over the years guided the division through its evolution to the Environmental Archaeology program. 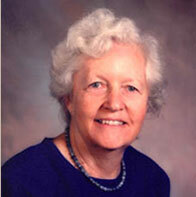 Dr. Wing has recently become a member of the National Academy of Sciences (2007). Wing continues her research on the human uses of animals in the southeastern North America, the origins and spread of domestic animals in the Andes, and the overexploitation of animals as well as management of captive and domestic animals in the Caribbean. This research requires the collection of specimens of modern animals to use as a reference for identification of the fragmentary remains excavated from the archaeological sites. One of her recent papers deals specifically with ancient overfishing, a parallel to modern problems in the world’s oceans: Wing, Stephen. R. and Elizabeth S. Wing 2001 Prehistoric fisheries in the Caribbean. Coral Reefs 20:1-8. More of Wing’s publications are listed here. 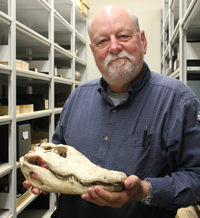 Zooarchaeologist Irvy Quitmyer is a long-time researcher at the Florida Museum, and was collection manager from 2001-2016. His work focuses on the animal remains from sites in southeastern North America and the circum-Caribbean region. Quitmyer’s research specialty is the study of season of and age at death of animals incorporated into archaeological samples. Many but not all of these studies were based on incremental growth structures of mollusks, particularly bivalves such as the hard clam or quahog. These studies identify the season of death of organisms and therefore also the time of the year they were gathered or fished. They also illustrate the stress on animal populations from human exploitation. Quitmyer’s publications are listed here. Sylvia Scudder, who was the collection manager for over 20 years, is also a soils scientist. 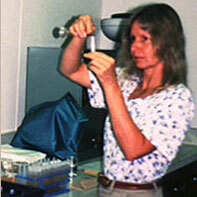 She has developed the field of archaeopedology (anthropogenic soils) in this program. Studies of archaeopedology provide important information about the geographic extent of archaeological deposits, conditions favorable for preservation of organic remains, and past environmental conditions and landscape changes. The research involves chemical analysis of phosphates, calcium, and other soil constituents, and soil particle characteristics such as grain size and conditions. A paper describing the contributions these studies make to a better understanding of the past is: Scudder, Sylvia, John E. Foss, and Mary E. Collins. 1996. Soil Science and Archaeology, written by Sylvia Scudder, John E. Foss, and Mary E. Collins and published in 1996 in the journal Advances in Agronomy (57:1-75). Other publications by Scudder can be found here.